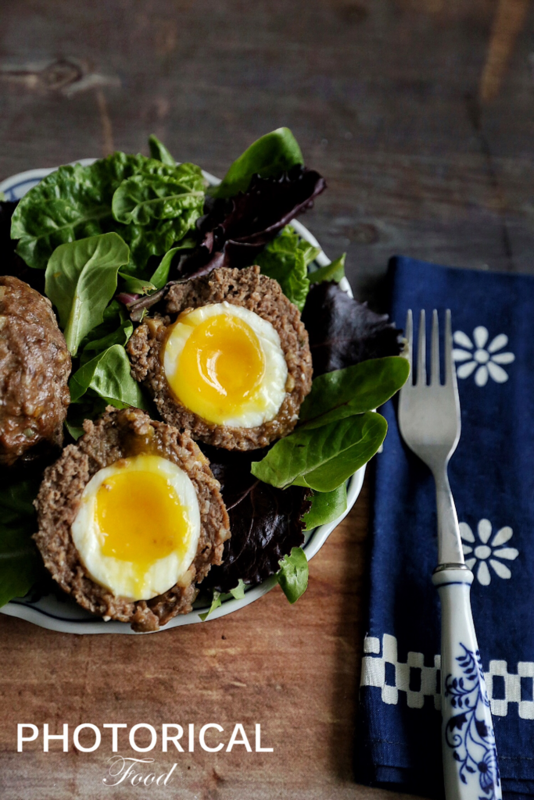 How did I not know about Scotch eggs? This recipe seems like something I should have grown up with. 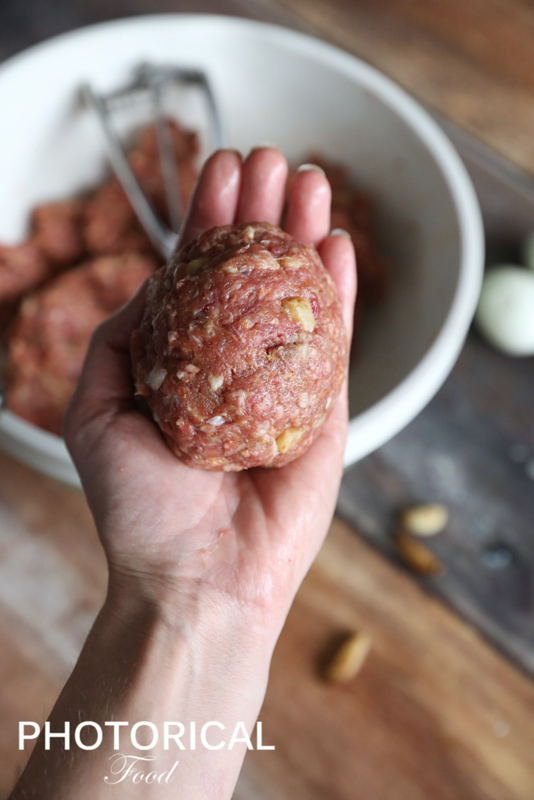 An egg wraped in a meatball? Why not? Life this week has been a little crazy around my house and seems to be getting more crazy. The days are full with work and kids, gym workouts, food and photography. Although it’s crazy I don’t know what aspect of my life I would change to improve it. I have my health, my family and a job that puts food on the table. At this point in my life that is what is important to me. If you wish to follow my photography you can see more at www.photorical.com. You can also see daily posts, fitness workout videos and follow me on my health and fitness journey from my facebook page @foodationalfitness. Bring a pot of water to a boil. Add your eggs in shell to the pot, being careful not to break them when you drop them in. They should be fully submerged in water. Boil for 7 Minutes if you want a runny yoke and 10 minutes if you want a hard yoke. After the cooking time has passed, run cold water over the eggs or place in a bowl of ice water to cool. 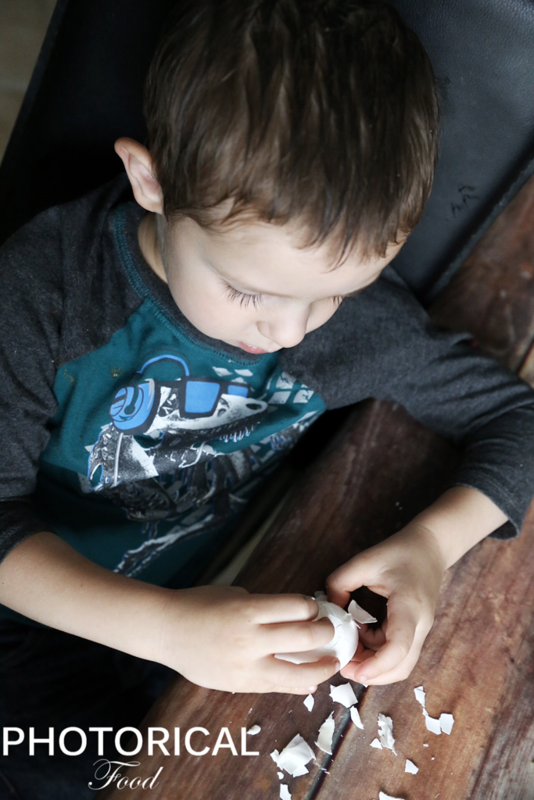 Going from hot to cold quickly will cause the membrane around the egg to seprate, making it easier to peel. 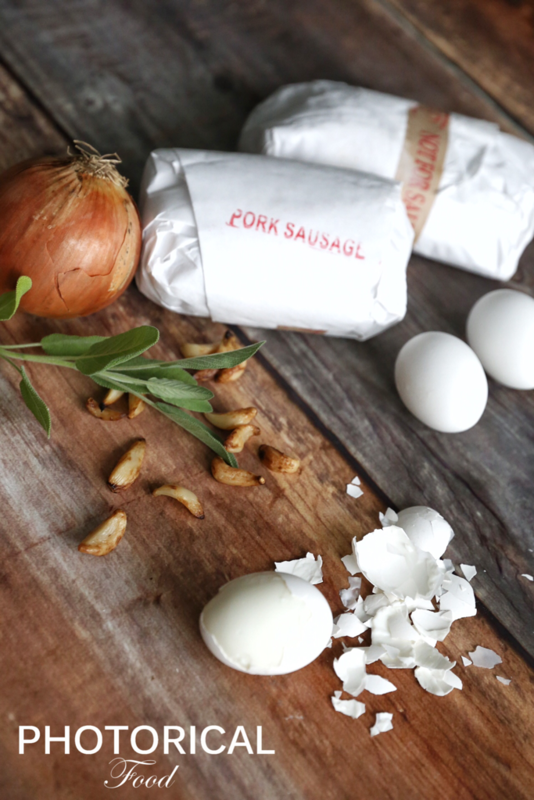 While The eggs cool, prep your meat mixture. 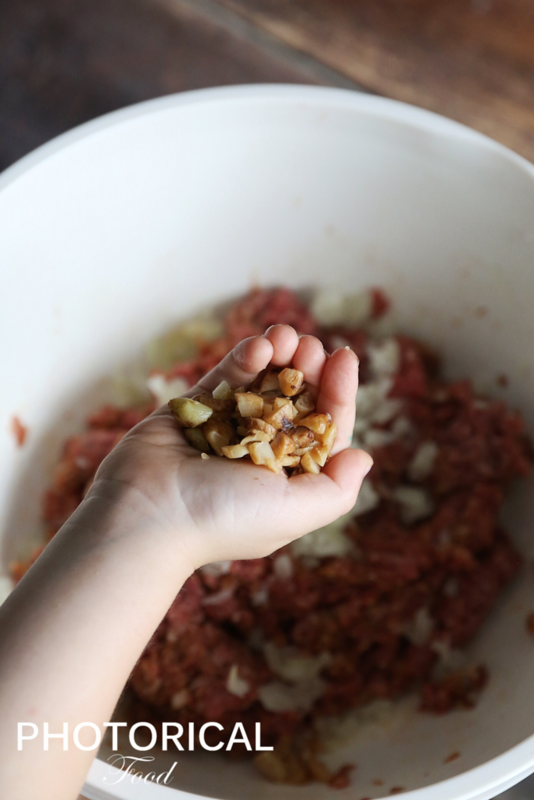 Combine the raw ground pork and beef with the onions and garlic. Season and mix well. There are Tons of other combinations you can do when seasoning your meat but I opted for simple. Divide the meat into 8 equal portions in preperation of wrapping the boiled egg. Once fully cooled, remove the shell from the egg. 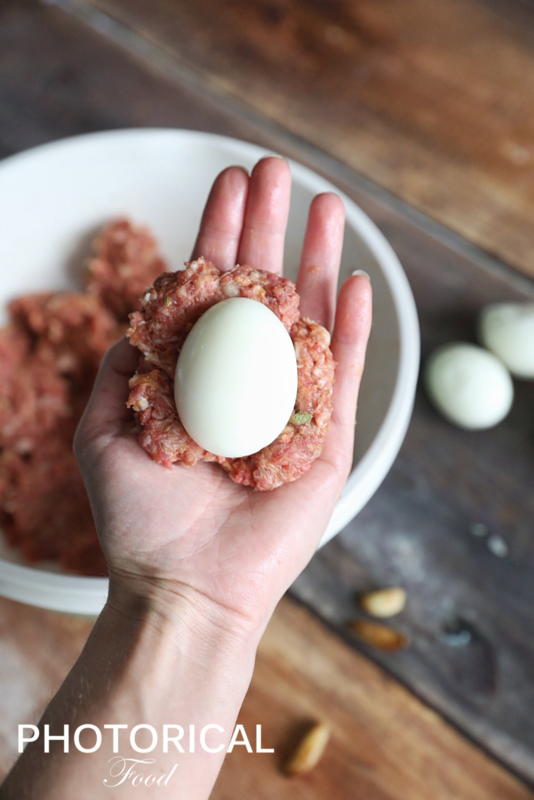 press the meat flat with your hands and wrap the meat around the egg. 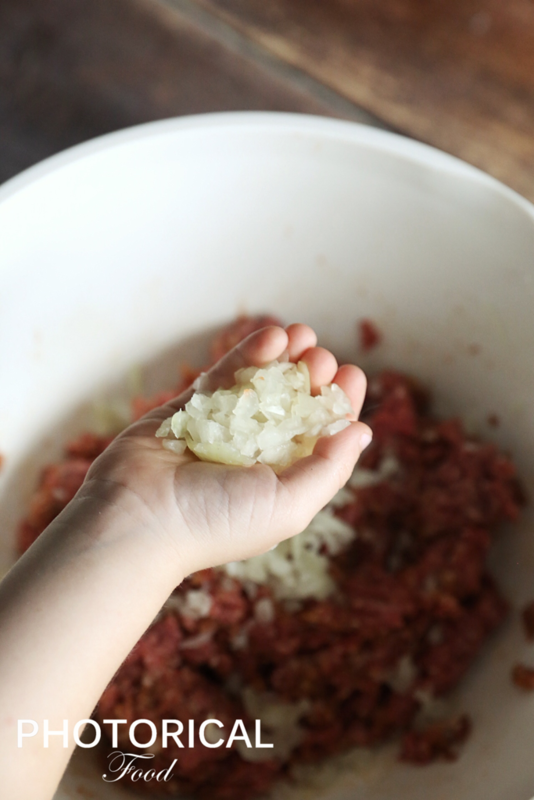 Make sure that there are no holes and blend the meat well when wrapping. The meat will shrink when it cooks and holes will cause the meat to split open, exposing the egg. Using lean meats will also help prevent shrinking because of the lower fat content. 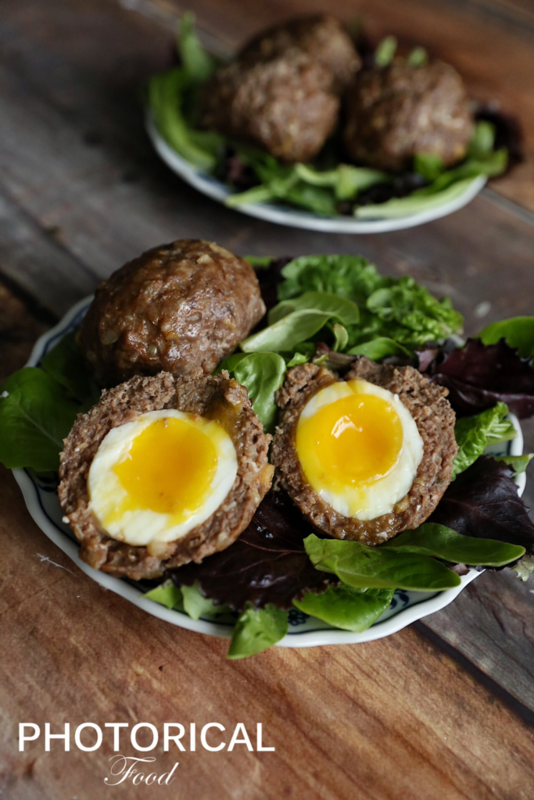 Bread crumbs are optional but can add a great texture to the outside of the Scotch egg. I opted to omit and reduce my carb intake. To coat in bread crumbs you would just crack and egg and mix it well with a fork. roll the uncooked Scotch egg in the liquid egg mixture and then dredge in bread crumbs befor placing on parchment paper to bake. Bake until golden brown on the outside. 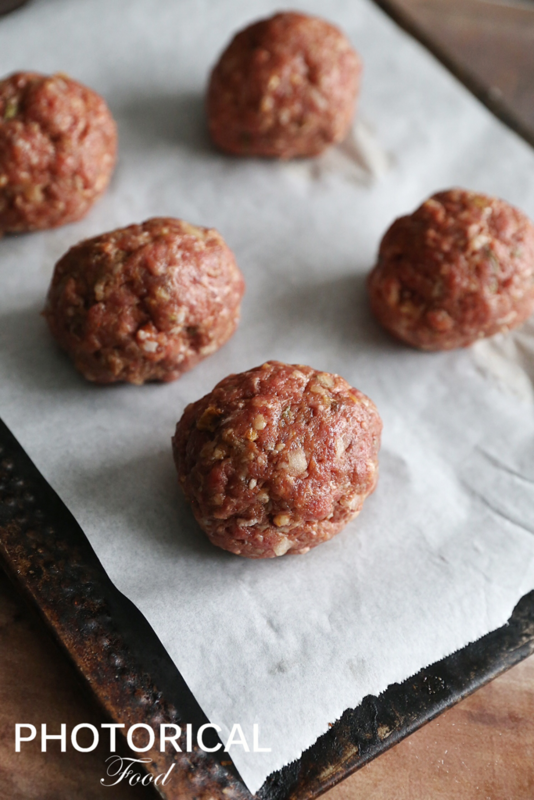 Turn periodically durring cooking to prevent flat spots and allow the meat to brown evenly.